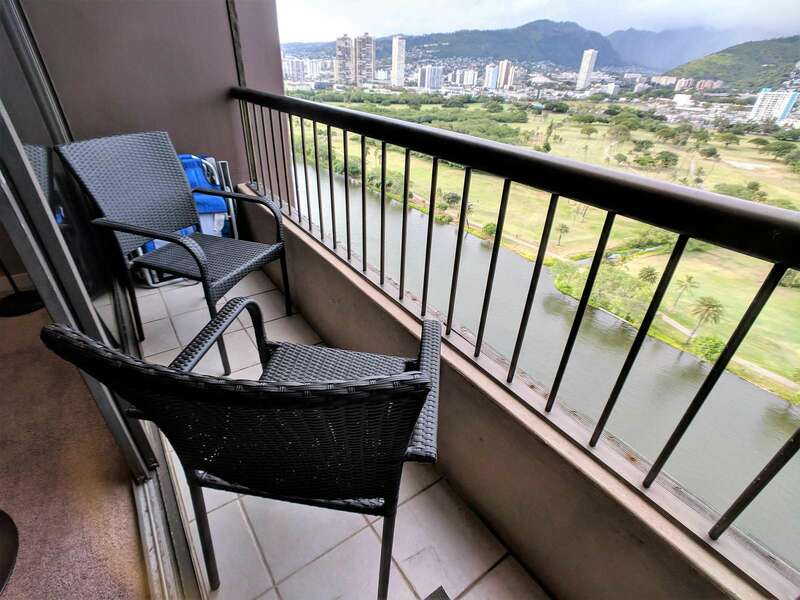 We provide 2 backpack beach chairs. 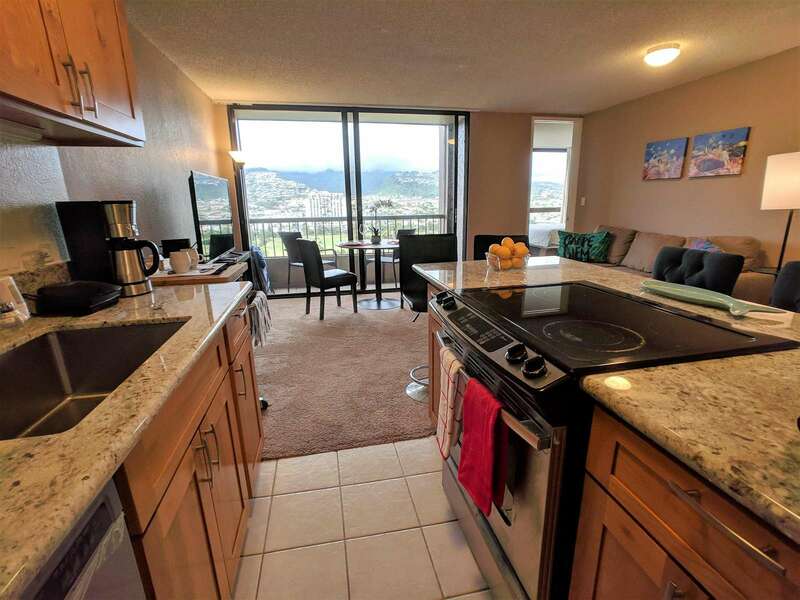 Alohana Monte Vista 2205. 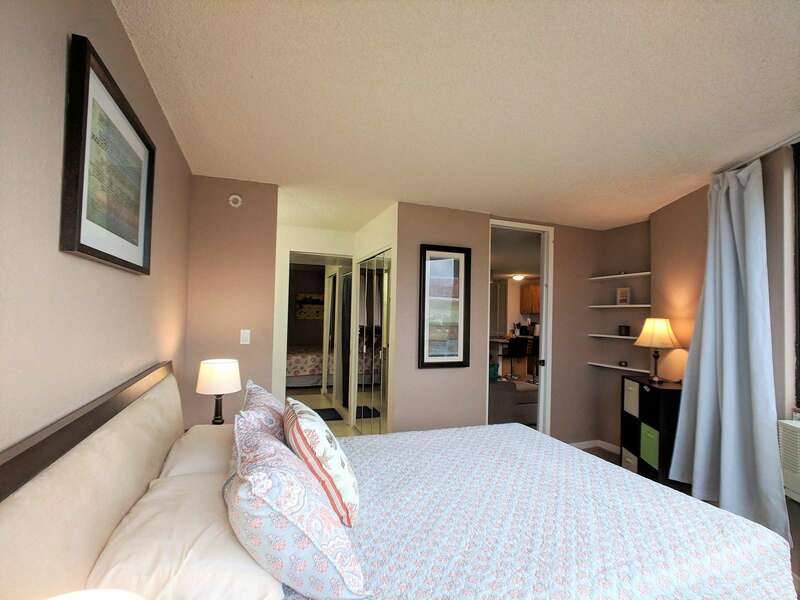 22nd floor 2 Bedroom - Free Wifi, Cable TV & Free Parking. 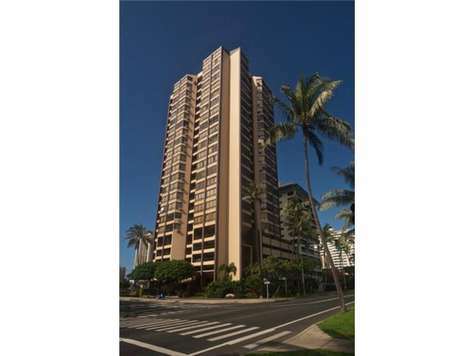 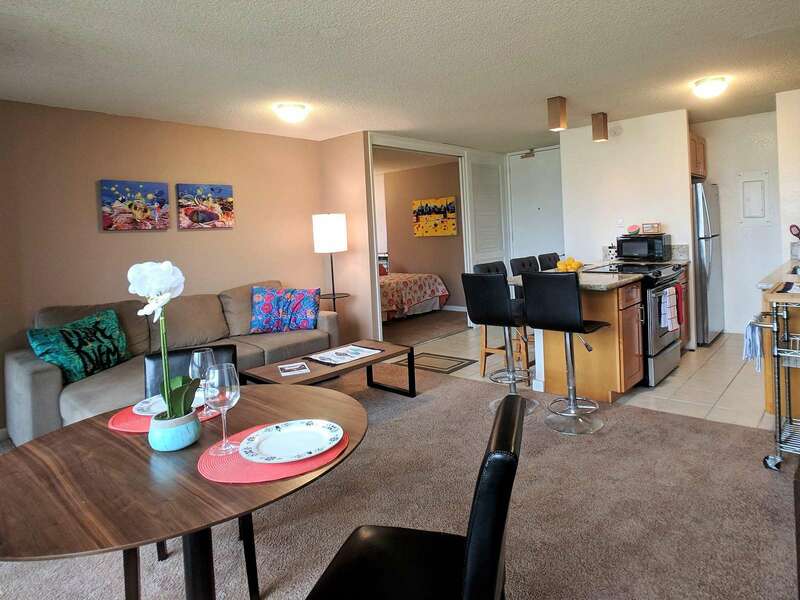 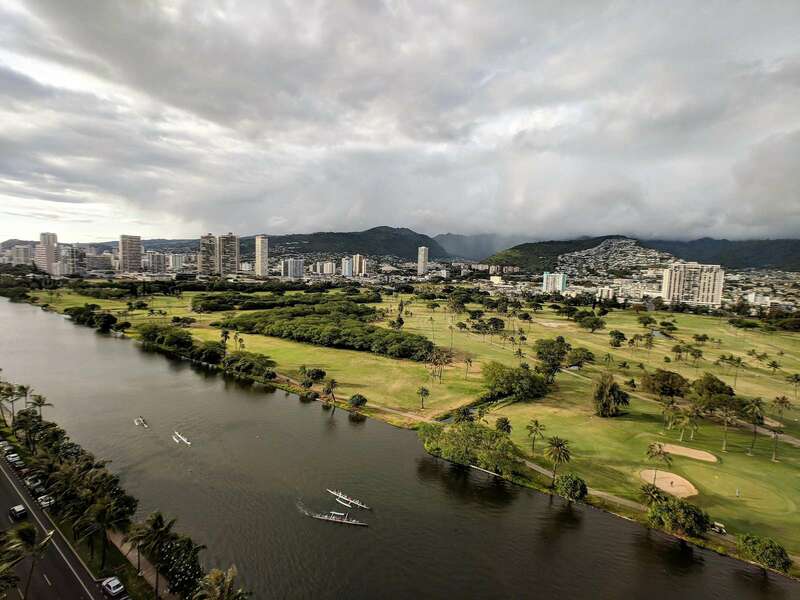 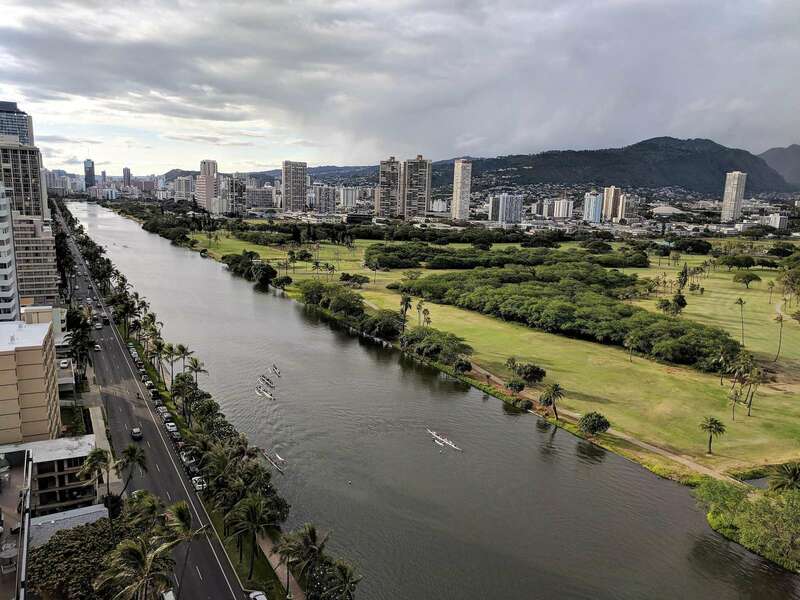 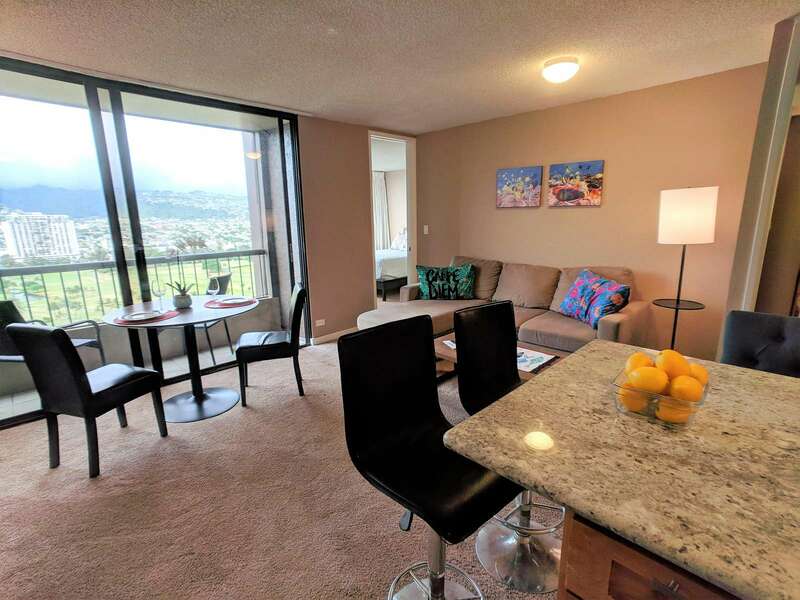 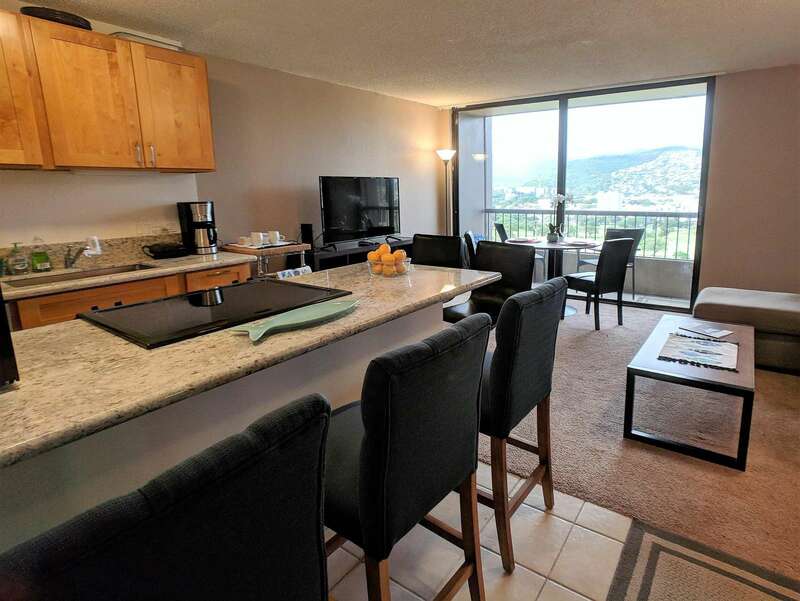 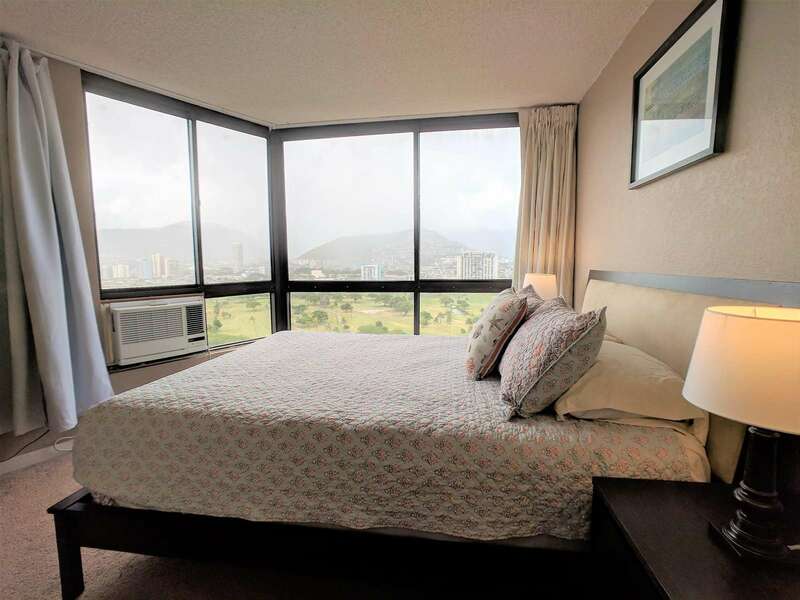 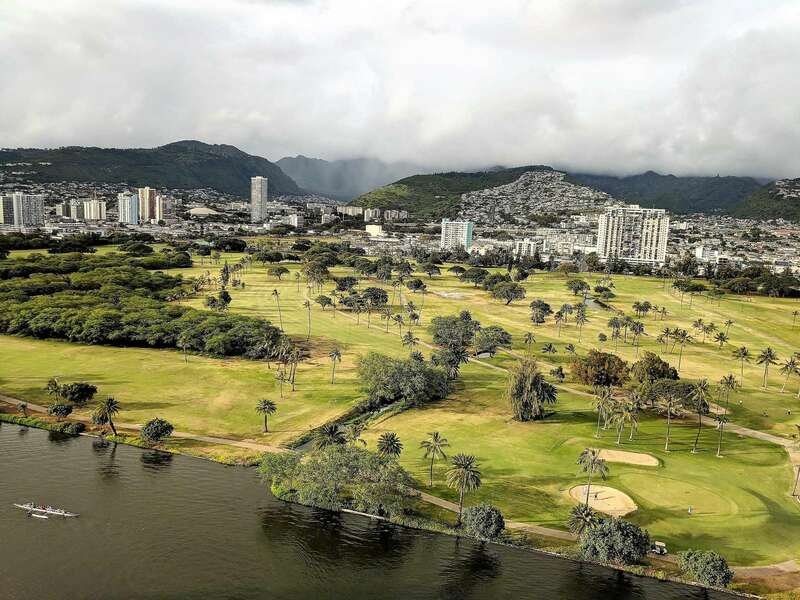 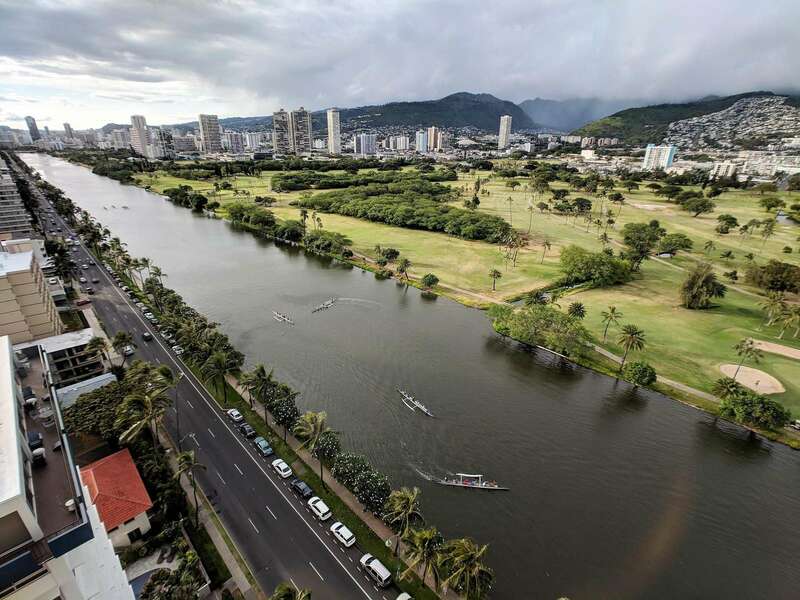 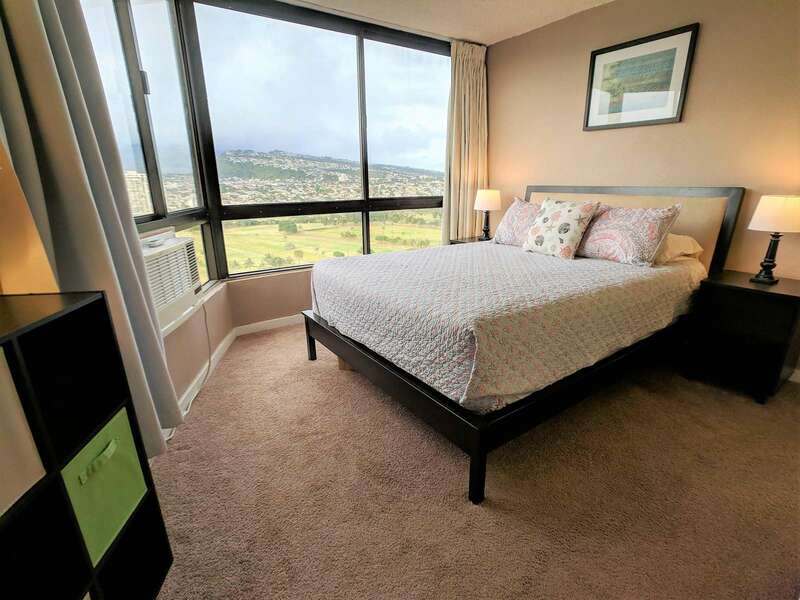 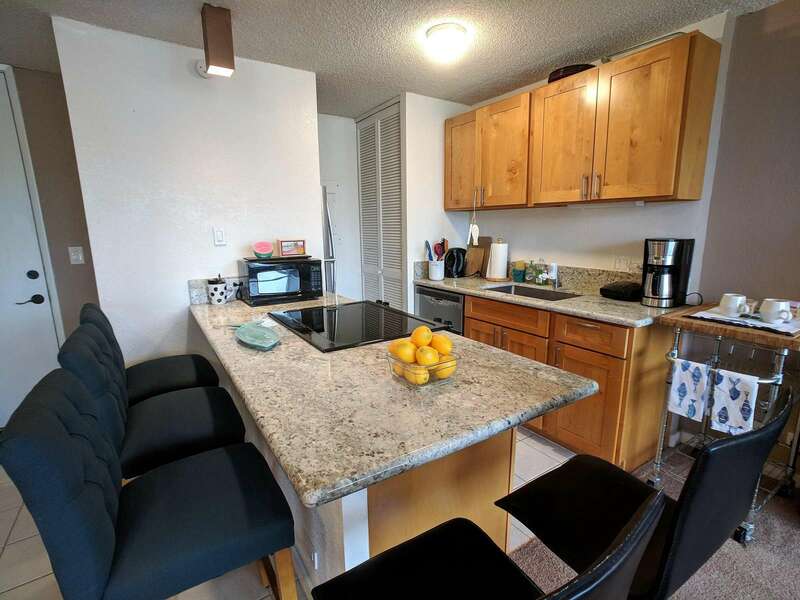 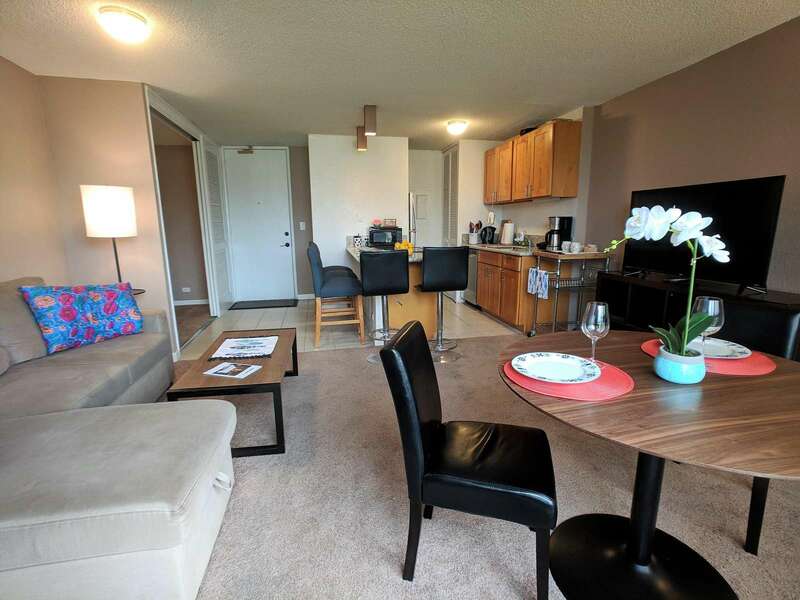 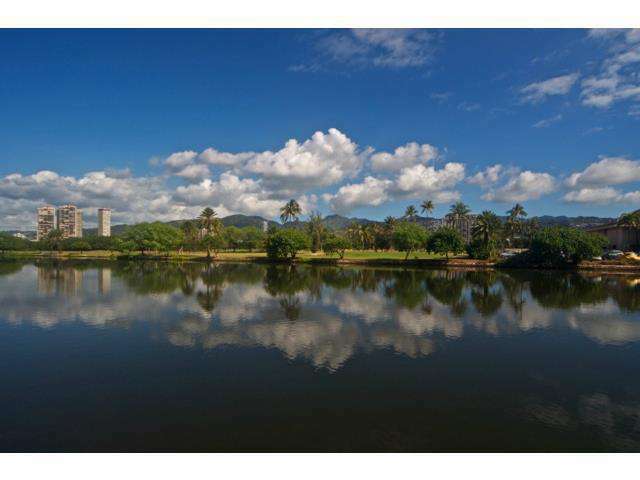 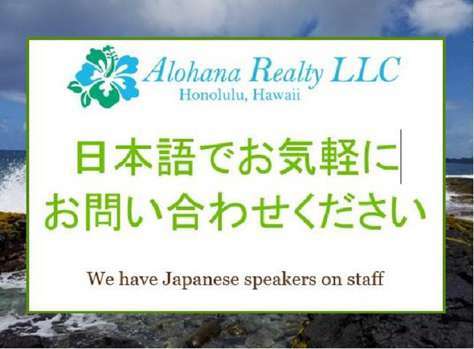 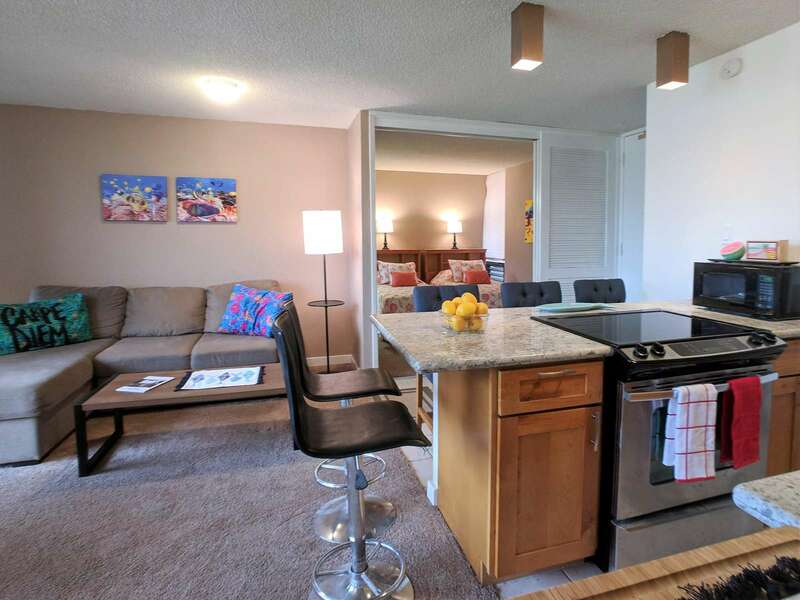 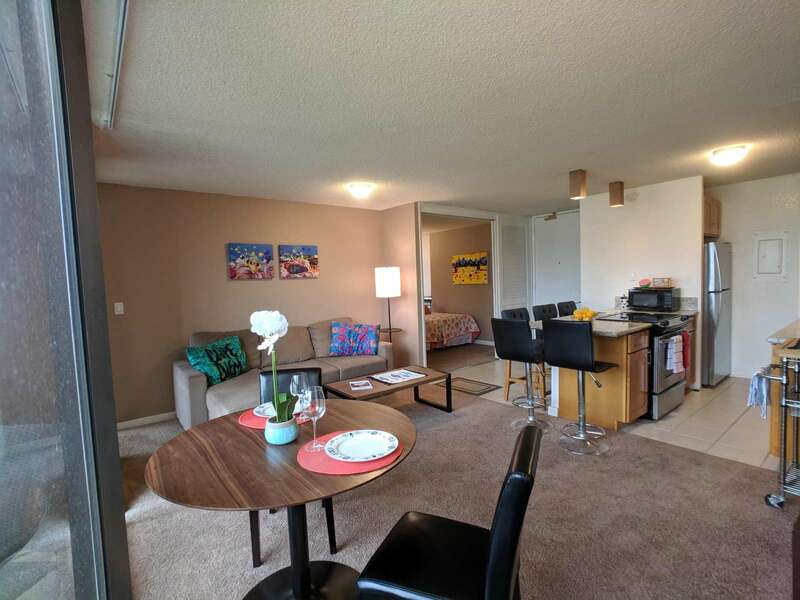 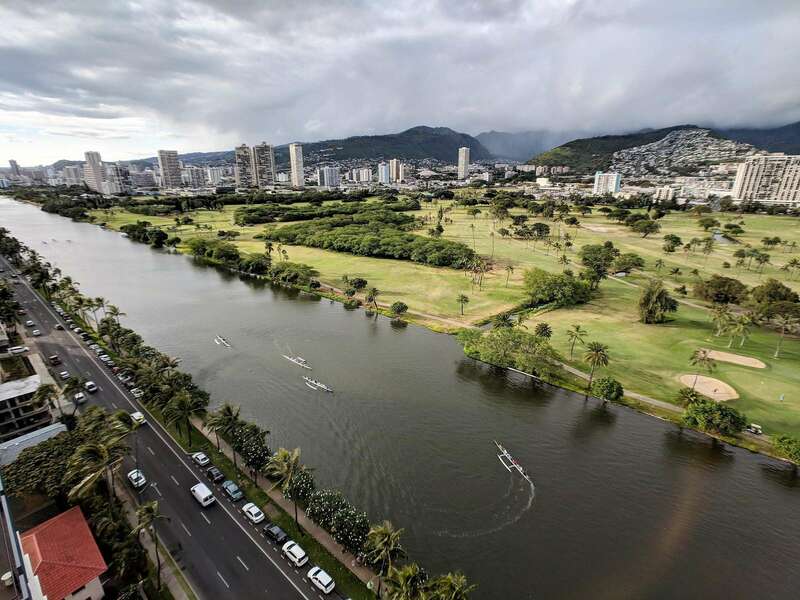 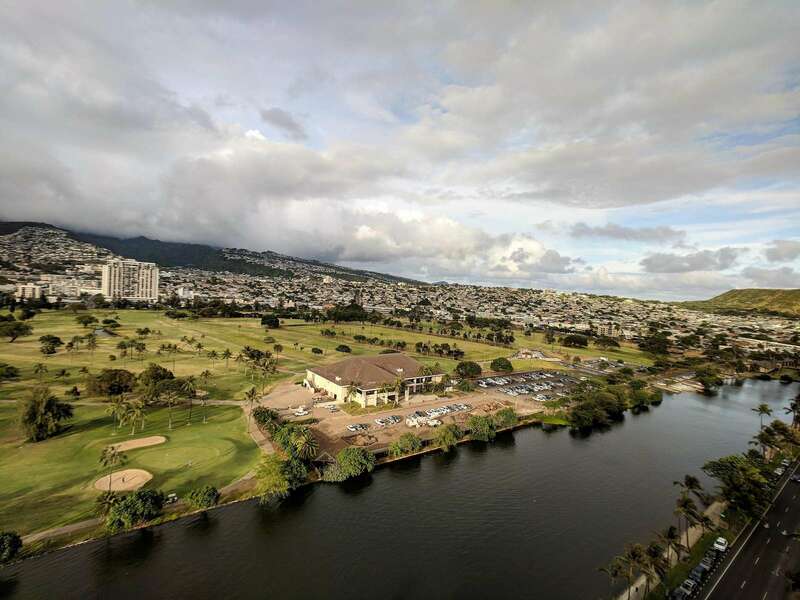 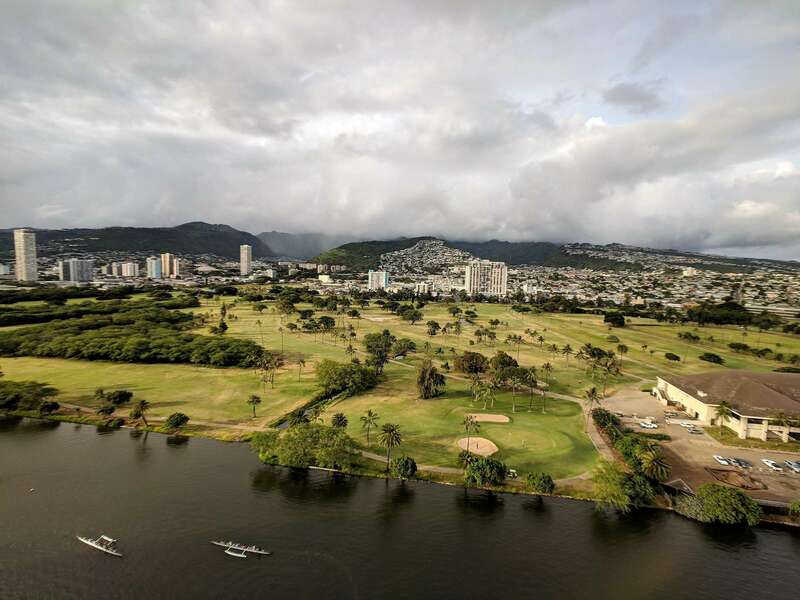 Located beside the Ala Wai Canal this 2 bedroom1 bath condo at the Monte Vista features stunning views of the Ko'olau Mountain range looking across the Ala Wai golf course. 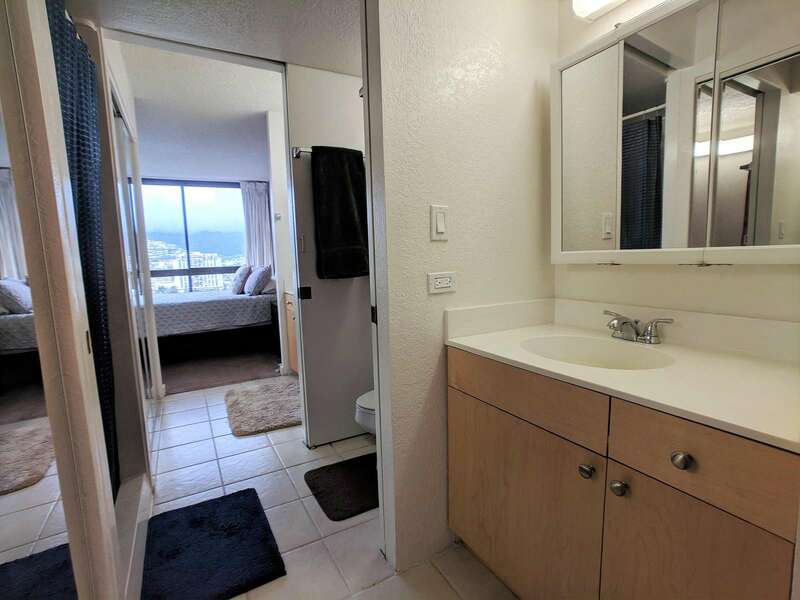 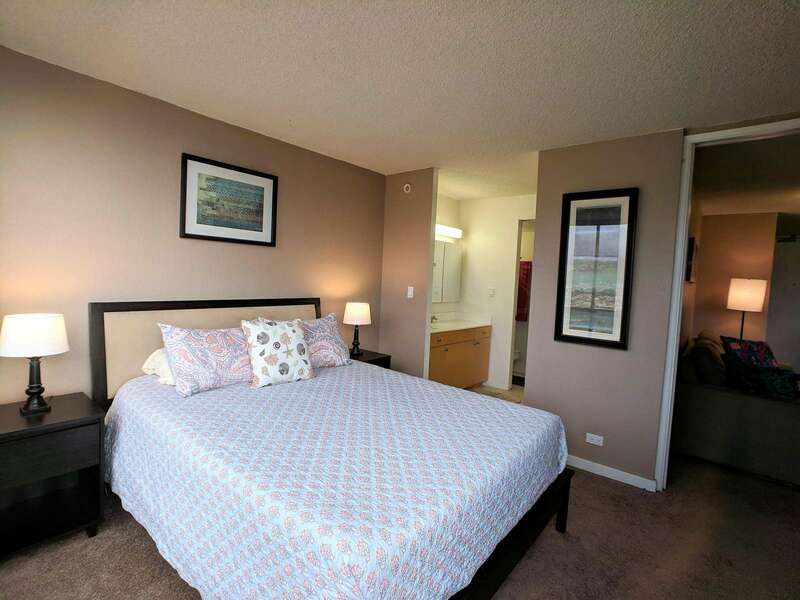 The condo has hardwood floors and carpeting and features a "Jack and Jill bathroom"*. 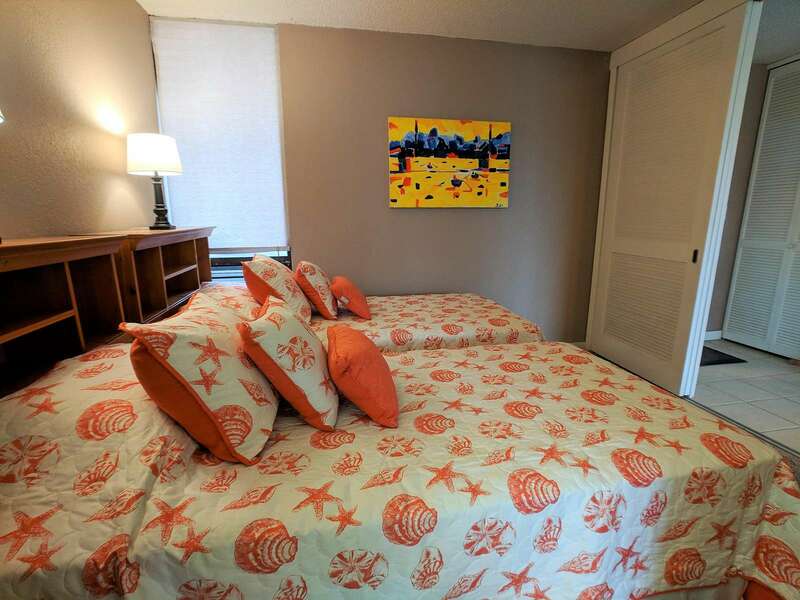 The master bedroom has a queen size bed and a window AC, and the second bedroom has 2 twin beds. 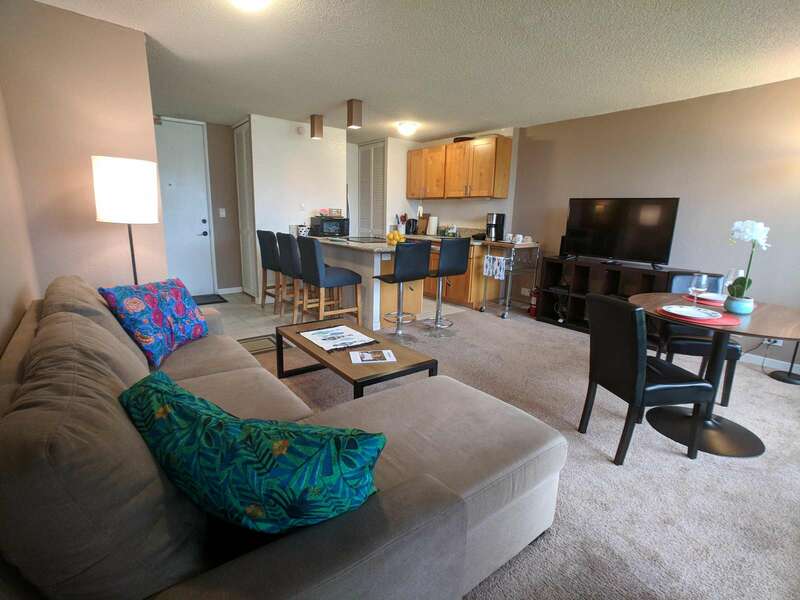 The living room has a sleeper sofa and a large flat screen TV. 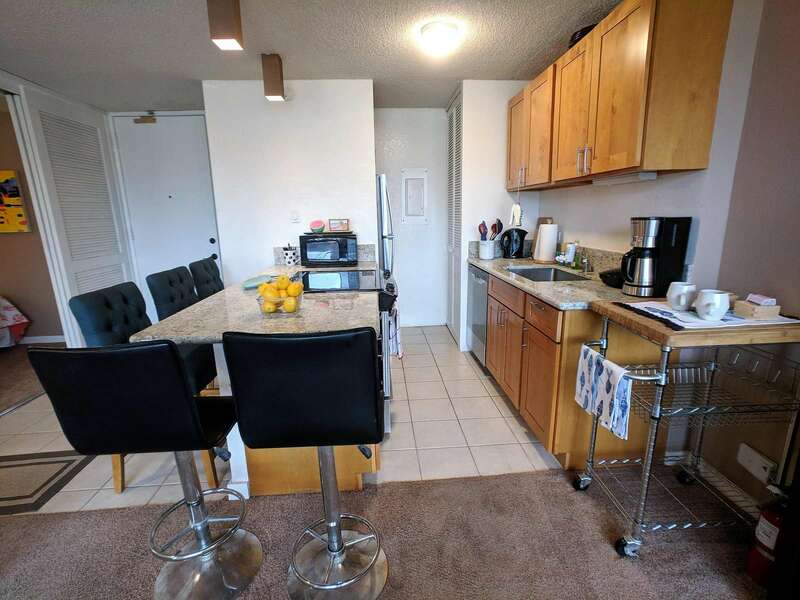 The full-size kitchen is equipped with a dishwasher, 4 burner stove with oven, refrigerator, dining table and a laundry center. 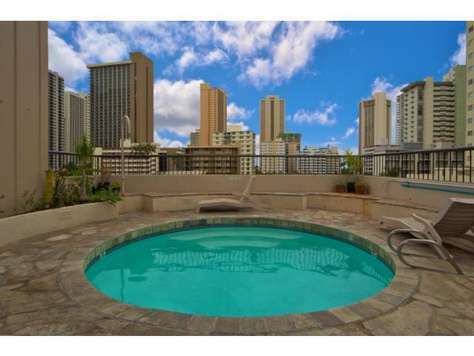 There's a pool area with charcoal BBQ and an ocean view. 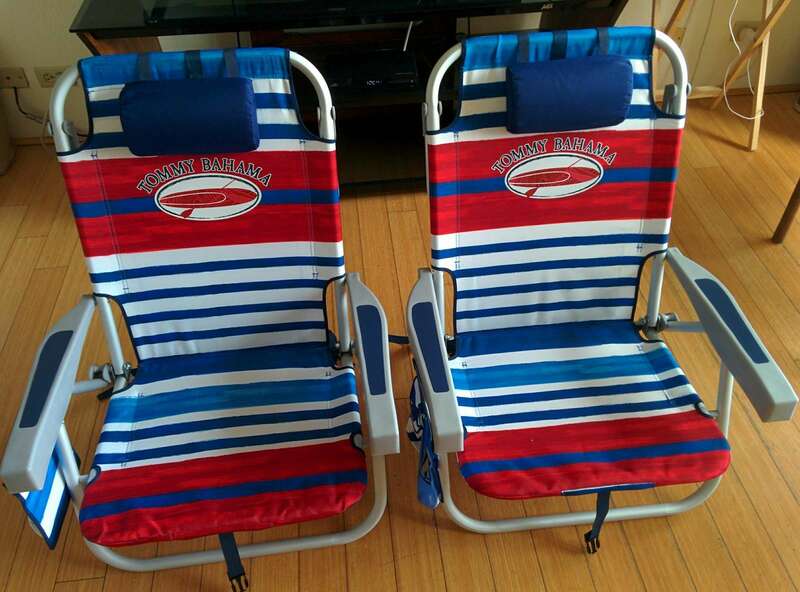 We've also provided 2 backpack beach chairs for adventures on the beach and outdoors! 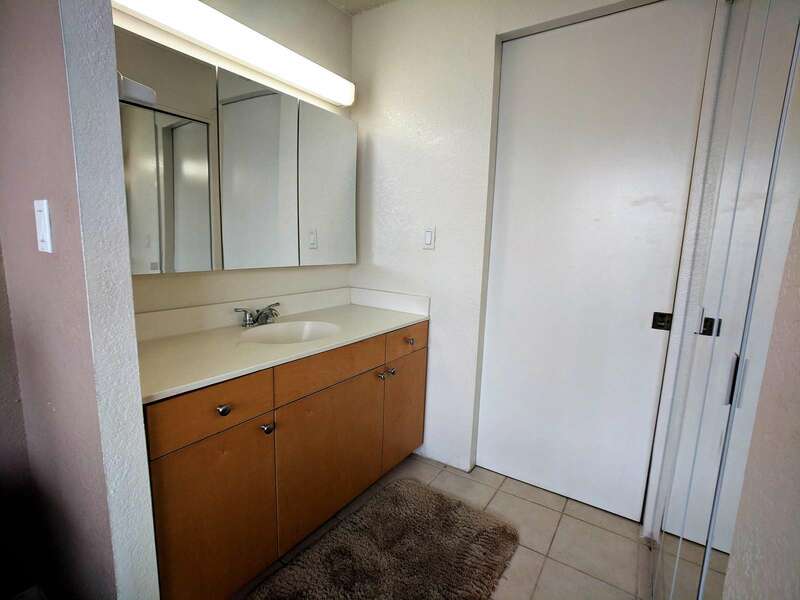 *A Jack and Jill bathroom is a bathroom with two doors, usually accessible from two bedrooms. 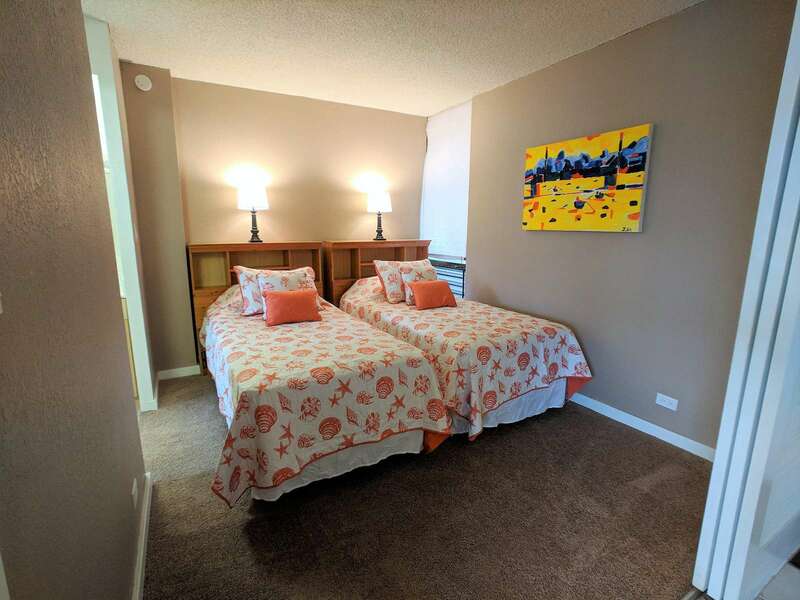 This property has 1 Queen(s), 2 Twin(s), 1 Pull Out Sofa(s).